This Classic John Deere shirt is constructed of the finest cotton. 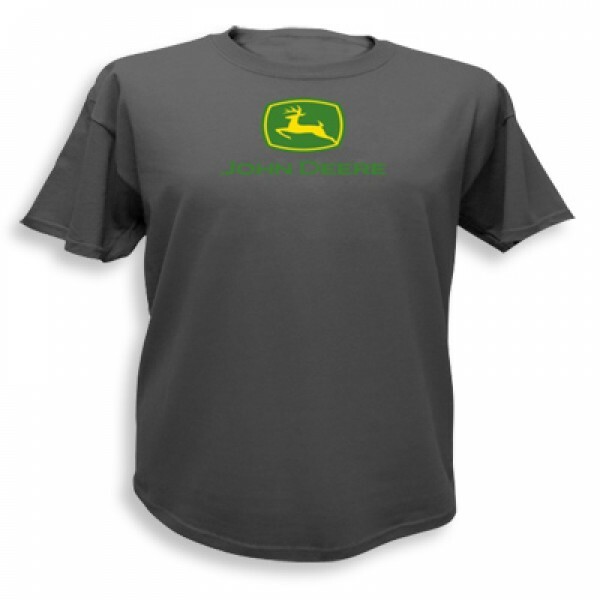 The classic green and yellow logo is screen printed on front with the bold JOHN DEERE across the chest. You can't go wrong with this classic grey mens tee-shirt! The 100% Preshrunk Cotton is durable and machine washable for extra long wear. The crew neckline and short set-In sleeves make this shirt extra comfortable and easy to wear. This grey mens shirt is available in sizes Medium only while supplies last.